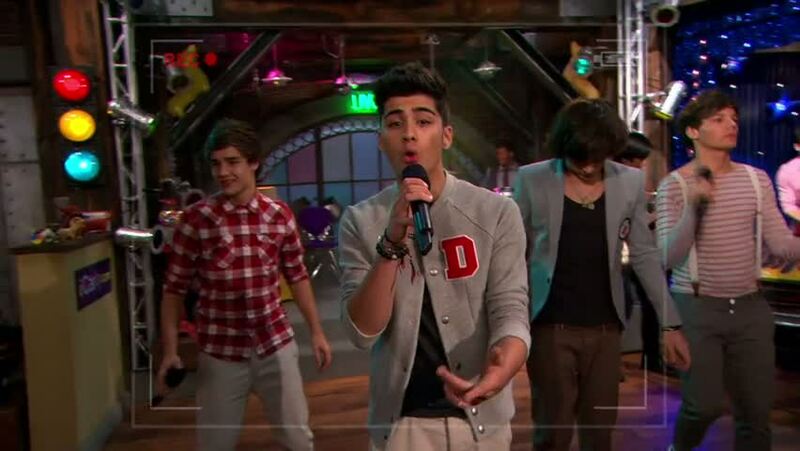 This past weekend, One Direction guest stared in the Nickelodeon sitcom, iCarly, entitled iGo One Direction. Carly (played by Miranda Cosgrove) returns home sick after a trip and discovers that One Direction has accepted an invitation to perform on her web show. 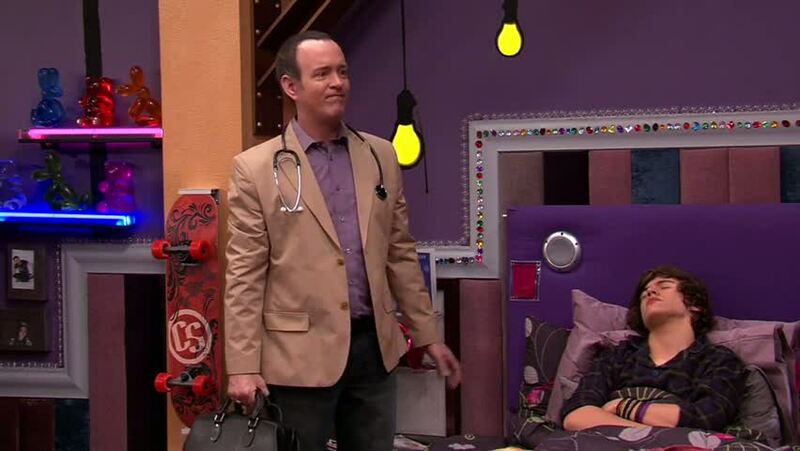 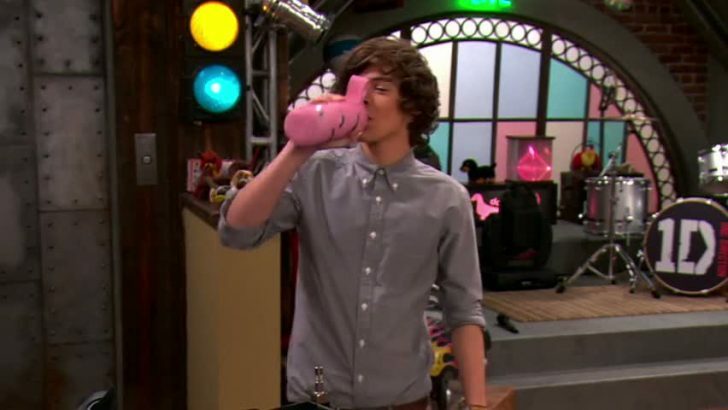 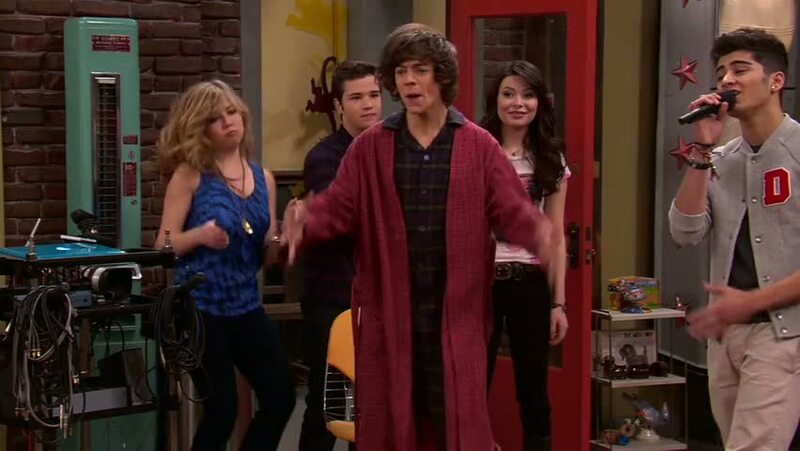 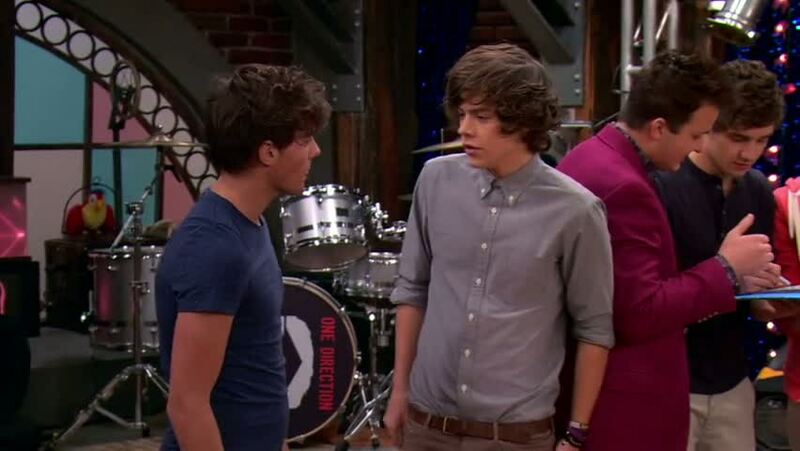 Not long after arriving, band mate Harry become sick and we see Carly doting over him. 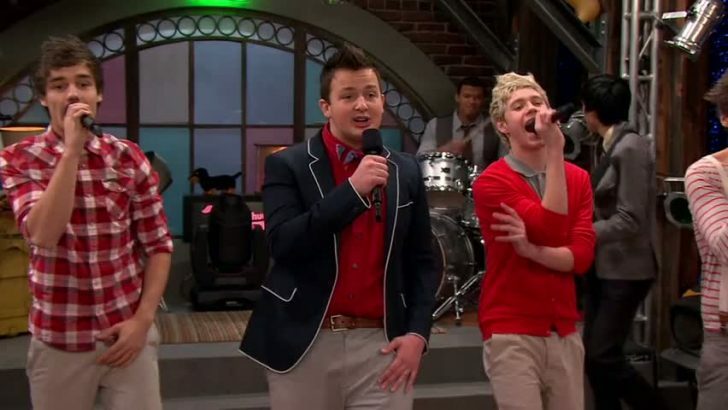 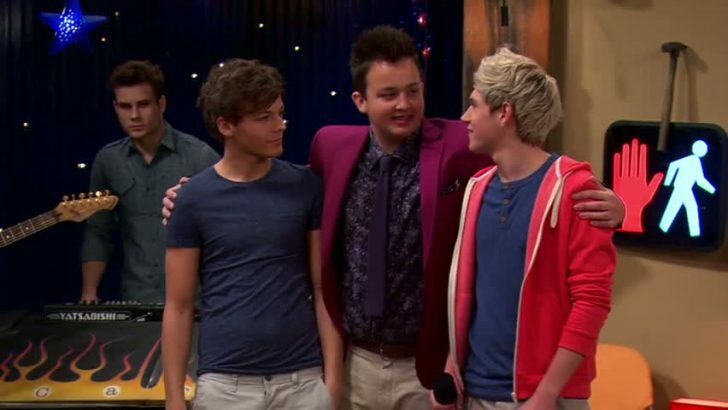 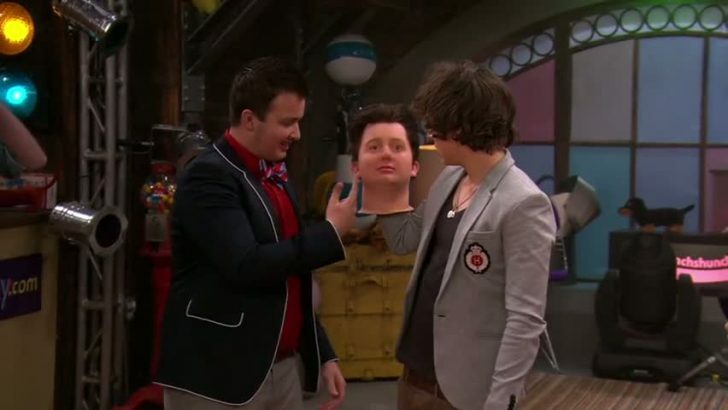 Realising Harry is playing sick for the attention, they hatched a plan to get him back in the group by telling him Gibby has become their newest band member. 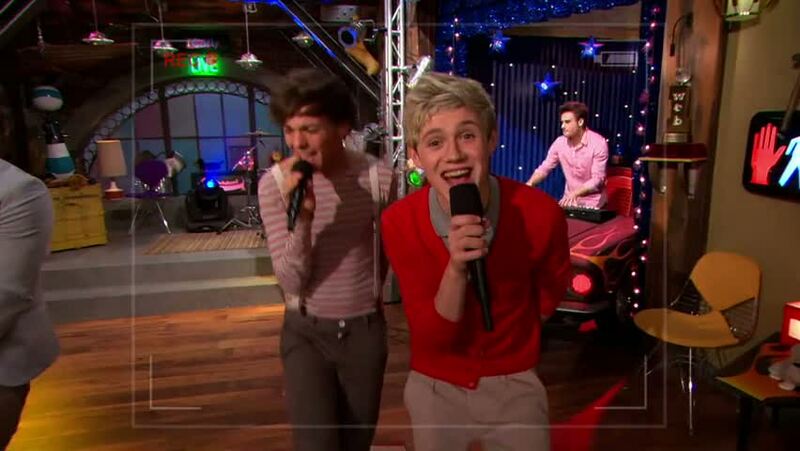 The boys – Niall Horan, Zayn Malik, Liam Payne, Harry Styles and Louis Tomlinson – perform their song “What Makes You Beautiful” at the end of the show. 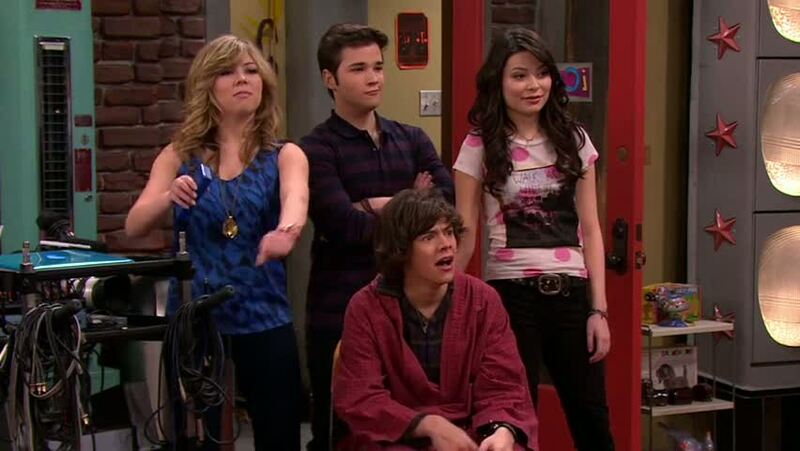 Below are Images of 1D on iCarly..